Unfortunately, Due to religious holidays, Your order could be shipped with a delay of up to 4 weeks. 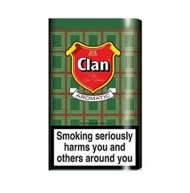 Fill your pipe with this delectable pipe tobacco featuring a smooth velvety smoke and vanilla after-tones. 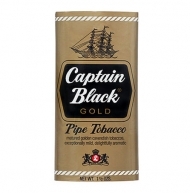 You will enjoy every moment when you fill your favorite pipe with this blend of Black and Gold Cavendish from Captain Black’s Royal pipe tobacco. The pleasure begins with an aromatic smoke that finishes with a smooth creamy taste, ending with a velvety vanilla flavor. 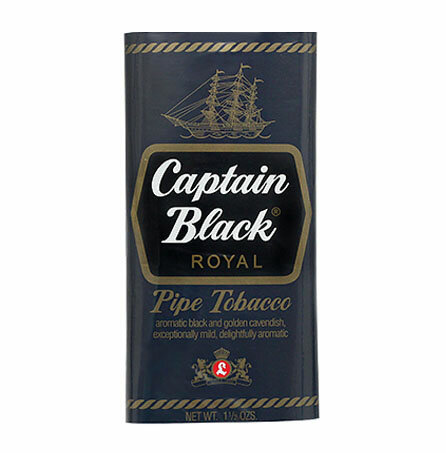 Captain Black Royal pipe tobacco is a wonderful mixture of superior Cavendish tobaccos that make every break you take just a little more pleasurable. 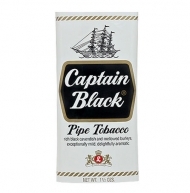 Why fill your pipe with anything else when there’s Captain Black Royal pipe tobacco?